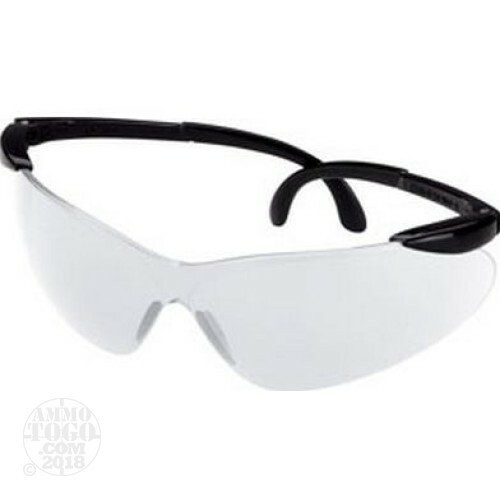 From the same company that brings you fun-filled target systems comes these protective glasses to guard your eyes during range sessions! Champion builds these ballistic glasses using an open frame design which is very slim and fits a wide range of facial types. The clear lenses are Z87.1 rated which matches many military standards for eye protection. That way you are sufficiently guarded from lead splash, errant lubrication splatter, and infrequent ricochets. The lens body has a molded nose piece for comfort and is attached to two black, anti-slip arms which are slender enough to fit under earmuffs without discomfort. Clear lenses are great for shooting early in the morning, indoors, or at shadowed ranges when it's important to have the clearest sight possible for safety purposes.